This eclipse is one of the Saros 132 cycle which began in 1492 and will end in 2754. In fact this family of eclipses, for the most, haven’t tended to auger particularly malevolent events. This one however is one to study carefully. The strongly Venusian signature is easy to miss with all that Mars going on. But it’s the Moon that’s being eclipsed and she’s in the Venusian Sign of Libra. She is also the Lady of the Geniture. It is the hour of Venus and it’s still the Day of Venus as well. She is in her own Domicile. It is highly significant that Venus is the planet of Islam. It would be a great mistake to miss the conjunction of Venus with the highly malefic Fixed Star Algol. She and Mars are in an angular house, giving them the optimum ability to act . 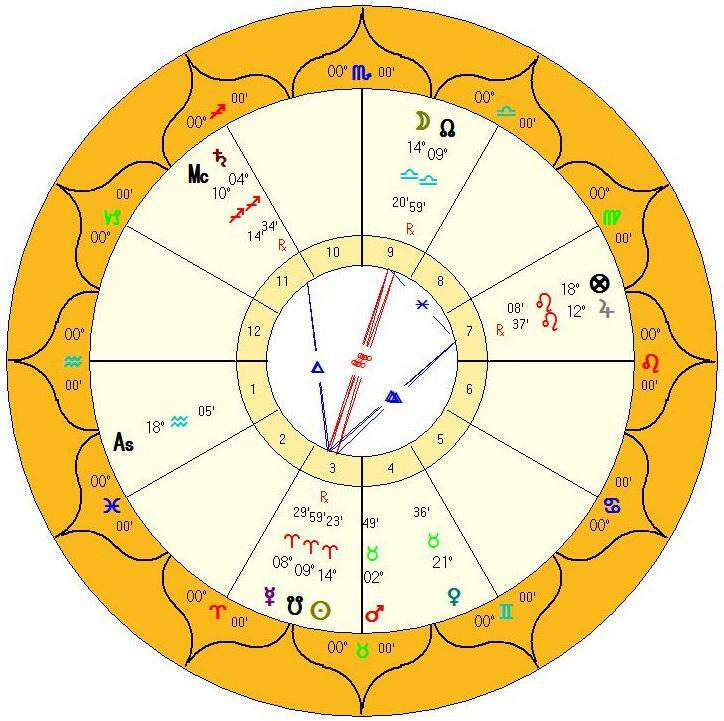 The chart is calculated for 4:48 am.,04 Apr 2015 PDT Victoria, British Columbia – time of totality – and read with the resultant Whole Sign Houses. However, I’m adding the chart for the same event in Tehran, Iran. 4:31 PM. In the Ptolemaic system Parthia, Media, Persia; in the centre, the Cyclades, Cyprus, the coastal region of Asia Minor are Venusian and specifically Taurian. In light of the last eclipse occurring hours before the Vernal Equinox and the other clear indicators, Iran is key. We also have the second criteria met by 50% visibility in Iran according to NASA. This is the shortest lunar eclipse of the century and I would expect any events augured by it to be realized sooner rather than later and to be of short duration. 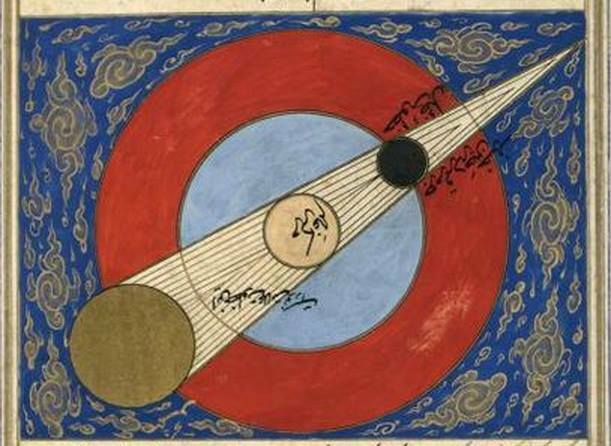 The ninth house placement of the Moon in Libra may easily be interpreted as associated with Islam and the fact that the Moon is in the house of the Sun’s Joy might imply unorthodoxy.. The Joy of the Moon is the Third House of the Goddess at the opposite end of the 9/3 axis – trading places with the Sun, as it were. It is worth bearing in mind that for 85% of Muslims, the predominantly Shia population or Iran is heterodox. There has been great conflict in the Islamic world for many years, some may say forever, but The Islamic Republic of Iran is really just coming back onto the stage after decades of suppression and isolation, due to the auspices of an albeit tentative Nuclear Deal. Saturn is the Almuten Figuris.,retrograde and disposited by a grandiose and retrograde Jupiter in Leo, also angular. Saturn is the planet of Judaism and it’s no secret that Israel, particularly under Prime Minister Benjamin Netanyahu, has a strong antipathy towards Iran. The region of Israel itself is under Mars, With both social planets in their respective conditions and with an intransigent Mars Lord of the Tenth House, the situation looks volatile. When we consider the Planetary Lots of the malefics we find affirmation of the theme described thus far. The Part of Mars is with Venus. The Part of Saturn shadows the Moon. This all adds up to a dangerous time for Iran. It isn’t required, because our original chart shows the eclipse at its most potent. 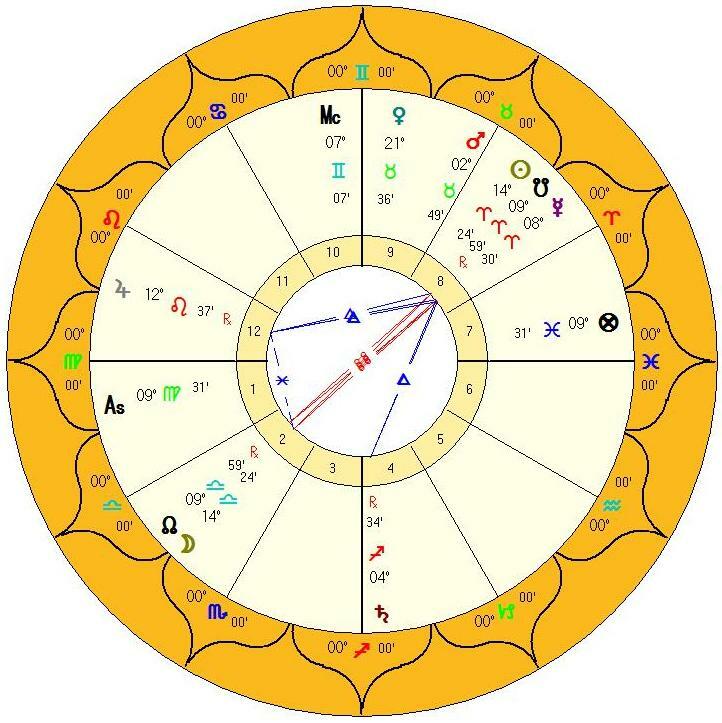 However when we compare this chart with the one for Tehran, we find the Lord of the Ascendant is with the S. Node in the Eighth House of Death and Venus and Mars are at odds in the Ninth. Saturn is in an angular house and Jupiter languishes in the twelfth. The Almuten Figuris is now Venus and the Ascendant is Virgo, Aldebaran, being of the nature of Mars, sits on the MC. We have Jupiter as both apparent and hidden enemy. The chart is for the Day of Saturn and the Hour of Mars. The theme essentially remains the same and I would hope that cooler minds prevail. This entry was posted in Eclipses, Full Moons, Traditional Astrology. Steven, of course I concur. Theses kinds of associations cannot be missed, particularly in Mundane Astrology. However, I’m not sure if your comment is an aside or an indication that I haven’t made the association plain enough. As I was reading I had this “aha” moment lol…. this was nothing more than an aside.